In the late summer sun, Kobana once again shone in the limelight as the tech house infused "Freefall" EP illustrated another new side to his musical soul on Proton Music. Already receiving stunning interpretations from Mononoid and Luc Angenehm, Particles now takes up the remix baton with two impressive Australian talents. An iconic figure on the Australian underground dance scene, Rich Curtis' work as DJ, promoter and producer should not be underestimated. The man responsible for bring a host of superstar names to his native Queensland, including Hernan Cattaneo's first trip to Brisbane, Curtis' own performance behind the decks has led to packed clubs and multiple plaudits alongside such names as Digweed, Warren, Fortier and Saiz. A production career has subsequently blossomed since 2010's high-profile debut for Cid Inc.'s Replug and a host of production material has seen itself allied to imprints including Indigo, Tulipa and Lowbit. Indeed, 2015's "Lower My Voice" for Tim Penner's Slideways saw no bigger accolade than a remix from the legendary PigandDan. A regular on Proton Music centred on 2013's "Safety Thirst" EP, Dousk, Silinder and Colourblock have all featured on the Curtis remix trail. Now following up on 2015's remix of GMJ for Particles, the Rich Curtis remix of Kobana takes "Freefall" on a typically impressive beats-laden path, full of vibrancy and vitality. Intelligent stepped riffs and rasping bass line fire off into the distance in a sci-fi woven soundscape as a melange of effects and percussive cadences reap rich rewards. A relative newcomer to the dance music production scene, Australian producer, James Wilson, using his Somersault production pseudonym, has made a considerable impact in a short space of time. Initially involved in the music scene as a funk guitarist and as a producer for John Convex, the Somersault initiation into the world of dance music was via duo, The Mess. Appearances at the Rabbits Eats Lettuce festival and performances across the cosmopolitan cities of Sydney and Hanoi alongside the likes of PleasureKraft and Indian Summer, have seen Wilson fully immersed in club culture while his production work under Somersault has begun to gain traction. July 2015's "Space is Big" EP for Particles was followed by "Crux" as part of the "Summer Particles" compilation in the same year, while remixes from Alex O'Rion and Sebastian Weikum in November saw 'space' re-envisioned. Now returning to Particles for a debut remix, the Somersault rerub of "In The Loop" is an innovative an intelligent reworking of Kobana's leftfield original. A strong beat dominates throughout while clever references to the original make their play, melded with strong additional production material that highlights Wilson's prowess on guitar. The result is an an exciting track that radiates verve and imagination. 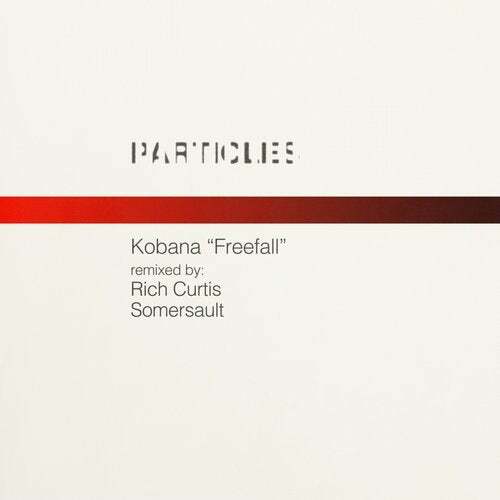 As "Freefall" finds itself on the Particles agenda, two new remixes from Rich Curtis and Somersault see Kobana's work parachute straight into 2016. Matt Rowan, East Cafe, E.F.G.